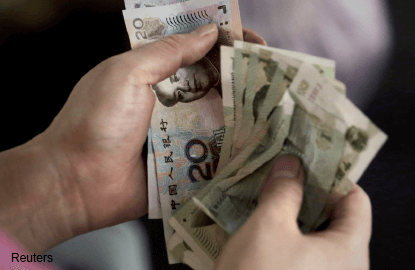 Beijing spent much of the last year propping up the yuan to combat capital outflows, avoid debt defaults and win a place among the International Monetary Fund’s (IMF) five reserve currencies. But with growth sputtering and deflation looming, China has now reversed course, cutting its daily reference rate yesterday by 1.9%, the most in two decades. The Chinese government has effectively admitted that risks are accelerating in the world’s second-biggest economy. Politicians in the United States are sure to call the devaluation a threat to American jobs, and politicians in Japan will bemoan its effects on their deflation fight. But it’s important to keep a sense of perspective. China has called this a one-time fix designed to push the yuan towards a more market-determined system, in accordance with the IMF’s wishes. Besides, if China were going all-in on a beggar-thy-neighbour policy, its devaluation would have been far more substantial — and even then, there’s no guarantee it would have succeeded in propping up the economy. It’s also important to acknowledge that Beijing’s new policy poses risks for China. The weaker yuan increases the odds of a surge in defaults on foreign-currency debt, which makes the country highly vulnerable to capital flight. In April, Shenzhen-based Kaisa became the first Chinese developer to renege on such debts. The People’s Bank of China is aware a lower yuan could push others to the brink, which is why it probably won’t allow the currency to fall too much further. The real question isn’t whether Beijing should have devalued the yuan, but what it does with the time this manoeuvre buys. Given how little tolerance President Xi Jinping and Premier Li Keqiang have shown for the shock therapy China needs to wean itself off excessive investment and exports, it would be reasonable to assume the currency move is a tactic to delay reforms and re-inflate the country’s stock bubble. If the government unveils new policies to prop up stocks — thus giving the impression the devaluation was essentially a stock market intervention — then it could reignite the global currency war. But there’s a more optimistic view: Beijing might be buying some stability so it can accelerate the reform process. From that perspective, this week’s news that China is preparing to tackle its state-owned enterprise (SOE) problem looks even more promising. According to the South China Morning Post, China is creating two new kinds of companies to supervise and regulate state-owned behemoths. The scheme is modelled after Singapore’s state-owned investment arm Temasek and, if handled well, it has the potential to alter the foundations of Asia’s biggest economy for the better. These politically-coddled monopolies are at the nexus of all of Beijing’s worst excesses — debt, overcapacity, corruption, pollution. Reducing their influence would be a vital first step for cultivating the sort of start-up boom that China needs. Taking on this fight would be easier for Xi if China’s exports weren’t falling (they dropped by 8.3% in July) and deflation didn’t loom as a threat. That’s where Tuesday’s devaluation, and the expected boost to exports, come in. It’s plausible that SOE reform motivated the Chinese government’s devaluation decision. If Xi is truly interested in allowing the market to play a leading role in economic decision-making, the real test will be whether his government shows the courage to open the country’s opaque financial system, tighten corporate governance and allow the media to play a bigger role in weeding out corruption.